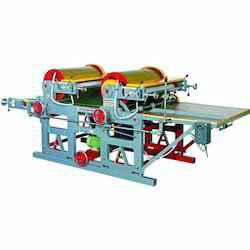 We are a leading Manufacturer of flexographic woven sack printing machine, woven sack printing machine and flexographic printing machine from Ahmedabad, India. We are instrumental in offering our clients a comprehensive range of Flexographic Woven Sack Printing Machine. Our offered printing machines are generally commended for their essential attributes like long service life & durability. These printing machines are developed of modern technology under the observation of experts. Apart from this, our practiced quality controllers examined the entire gamut of printing machines at competitive rates. We are a well-reckoned manufacturer and supplier of an excellent quality assortment of Woven Sack Printing Machine in the leading market. 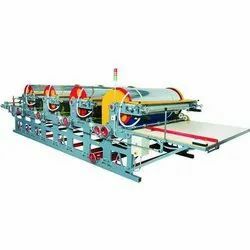 These printing machines are designed with the excellent quality unfinished components and modern tools according to the market norms. In addition, these printing machines can be accessible in various stipulations on customer’s demand. Our provided printing machines are well known for their amazing quality & performance. These printing machines can easily be availed from us at nominal rates. Packaging Details: Wooden Box Packing Available on extra cost.